Healthy sit-stand workstation. Dual monitor mount. Compact work surface ideal for smaller desks. Locking cylinder add stability, easy height adjustment. Winston Workstation® - Energizing your body. Inspiring your mind. Instantly converts any desk into a sit stand workspace boosting health and productivity. 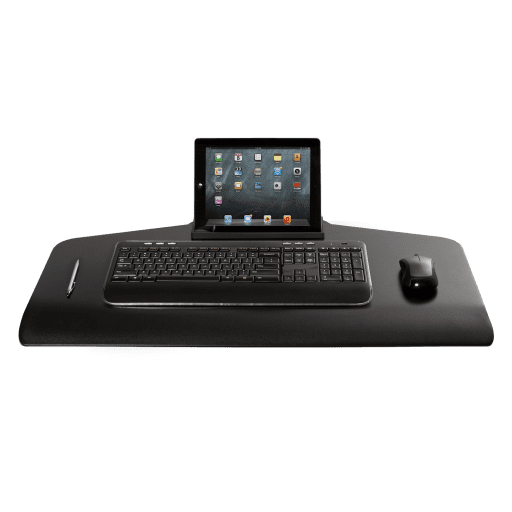 Winston Workstation® now comes with a compact work surface, ideal for users with smaller spaces who want to take advantage of a healthy sit stand workstation. View all Winston Sit-Stand Workstation models. Smaller work surface. 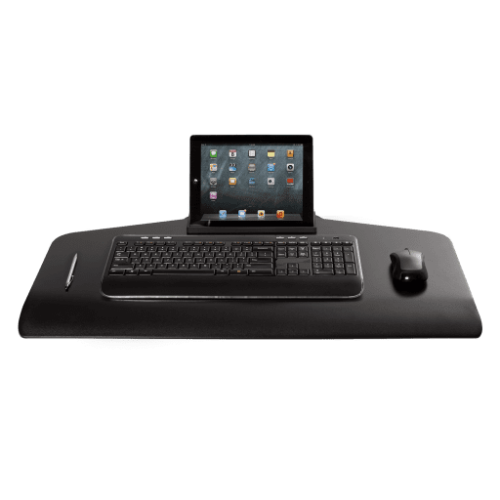 A compact work surface fits easily on to smaller desks while still having space for a keyboard, mouse, and storage tray. Cable clips in the column and beam keep the cables organized and out of the way. Winston is designed and assembled in the US.